As you can see on its own website, Apple has a fair amount of trademarks, but not for the latest version of its desktop and server operating system for Macintosh computers, OS X Mountain Lion. 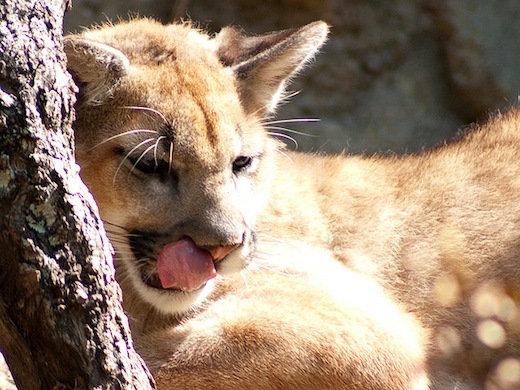 At least not yet, as Apple on Thursday filed for U.S. trademarks for both OS X Mountain Lion and Mountain Lion. Earlier this month, the company agreed to pay China’s Proview $60 million to settle an iPad trademark dispute, and is currently facing another trademark lawsuit from a Chinese chemical company called “Jiangsu Xuebao“, which has registered the trademark of the Chinese translation of “Snow Leopard”. OS X Mountain Lion is of course the name of Apple’s next major release of OS X. It was originally announced on February 16, 2012 and is scheduled for release this month, although the precise release date has not been confirmed yet. Earlier this week, Apple released the Gold Master version of OS X Mountain Lion to developers, likely the final beta version before it becomes widely available to consumers this month. The new operating system will gain features from iOS, such as Notes and Reminders as applications separate from Mail and Calendar, in addition to those iOS features introduced to the Mac in the popular OS X Lion. Apple recently announced that the new OS would cost $19.99 to upgrade to. Like Lion, it will be delivered exclusively via the Mac App Store.